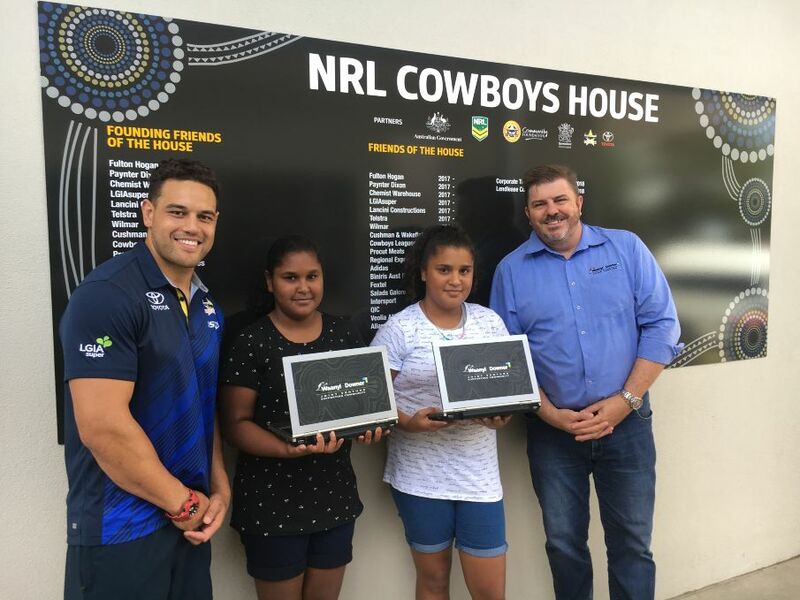 Downer recently travelled to Townsville to deliver repurposed Downer laptops to the NRL Cowboys House. The Cowboys House provides supported accommodation for young Aboriginal and Torres Strait Islander people from some of North Queensland’s most remote and educationally disadvantaged communities. The delivery of the laptops will help to enable access to quality secondary education opportunities in Townsville for these students. Supported through the Waanyi Downer Joint Venture (WDJV), the laptops will be used in the study rooms at the House – allowing the students to have access to IT equipment they may not have been able to source themselves. The beginning of 2019 saw the opening of brand new accommodation and facilities at Cowboys House, ready to welcome 25 female students. The laptop delivery aligned with the arrival of two girls from Old Mapoon, a remote community close to the western cape of Far North Queensland. Downer is a member of the Cowboys Community Foundation and funds the position of Antonio Winterstein in his role as Career Transition Officer with Cowboys House, who works closely with Year 10, 11, and 12 students to help forge a career path after high school.